Mojisola Adebayo is a British born, Nigerian / Danish performer, playwright, director, producer, workshop leader and teacher. Over the past 25 years, she has worked on various theatre and performance projects in Antarctica, Botswana, Brazil, Belgium, Canada, China, Finland, France, Ghana, Greenland, India, Ireland, Israel, Lebanon, Malawi, Mauritius, Myanmar, Norway, Pakistan, Palestine, Singapore, South Africa, Sri Lanka, Sweden, Syria, the USA and Zimbabwe. She has acted in over 50 theatre, television and radio productions, devised and directed over 30 scripts for stage and video and has lead countless workshops and training courses. Her wide and diverse work has ranged from being an actor with the Royal Shakespeare Company to co-founding VIDYA, a slum dweller’s theatre company in Ahmedabad, India. All of her work is concerned with power, identity, personal and social change. Having trained extensively with and also worked alongside Augusto Boal, she is a specialist facilitator in Theatre of the Oppressed, being invited to work particularly in areas of conflict and crisis. She is an Associate Artist for Pan Intercultural Arts with whom she works internationally. She mentors young and emerging artists. Mojisola also teaches part-time in the Department of Theatre and Performance at Goldsmiths, University of London and at Rose Bruford College. She has a scholarship from Queen Mary University of London where she is currently writing up her PhD thesis ‘Afri-Quia Theatre: creating spaces for black / queer experiences through theatre’. Mojisola has written poetry for many years and even had a stint as a teenage rapper. 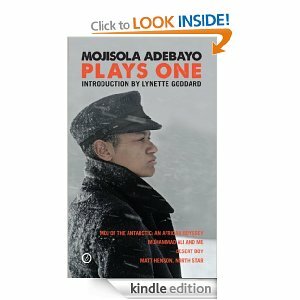 However, it was in 2005 that she embarked upon writing plays as her primary focus, through her landmark production, Moj of the Antarctic: An African Odyssey, which was researched on Antarctica in 2005 and performed at Lyric Hammersmith, Oval House Theatre, Queer up North and had a British Council African tour. She followed this with Muhammad Ali and Me (Oval House) and Matt Henson, North Star, developed in Greenland through Cape Farewell (Lyric Hammersmith). Mojisola has written poetry for many years and even had a stint as a teenage rapper. 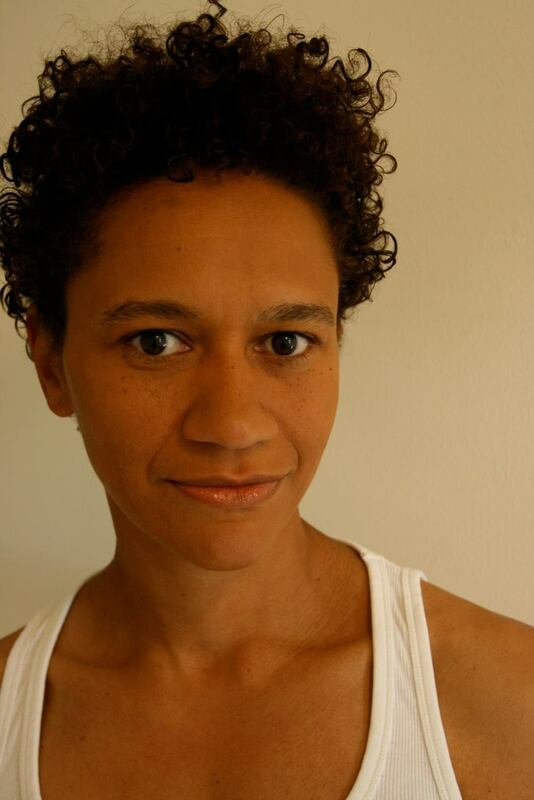 However, it was in 2005 that she embarked upon writing plays as her primary focus, through her landmark production, Moj of the Antarctic: An African Odyssey, which was researched on Antarctica in 2005 and performed at Lyric Hammersmith, Ovalhouse Theatre, Queer up North and had a British Council African tour. She followed this with the hugely popular Muhammad Ali and Me (2008, Ovalhouse) in which she also performed. Muhammad Ali and Me is currently being adapted for screen and the stage version will be revived for a national tour in 2016. Matt Henson, North Star was developed in Greenland through Cape Farewell (Lyric Hammersmith, 2010). Her first commission was Desert Boy (Nitro, Albany and national tour, 2011). The Listeners, a play for young actors, commissioned by Pegasus Theatre Company, in partnership with The Samaritans (Oxford) premiered in March 2012. She was Writer-on-Attachment with Unicorn and Birmingham Rep where she wrote Asara and the Sea-Monstress, her first play for children, also staged for a reading at Albany in 2014. 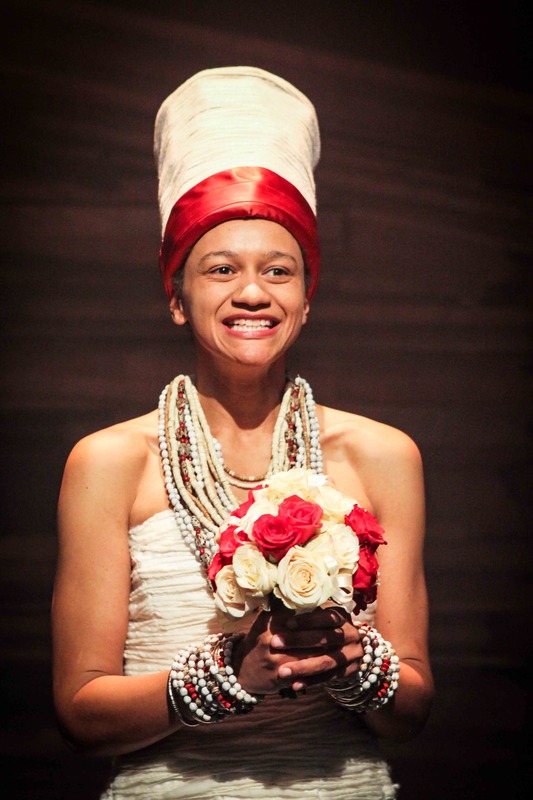 She co-created, co-directed, performed in and wrote I Stand Corrected, a collaboration with Mamela Nyamza and her most successful production to date. Commissioned by Artscape, South Africa, premiered in Cape Town in August 2012. I Stand Corrected received rave reviews and six award nominations at Ovalhouse, London in 2012 and was a hit in Soweto in 2013 and Singapore in 2014. I Stand Corrected is the subject of various documentaries, international conference presentations and academic papers. She co-devised, scripted and directed Sweet Taboo for TYPT:13 of Talawa Theatre Company in 2013 and later adapted the script it for screen. 48 Minutes for Palestine, a collaboration she devised, scripted and directed for Ashtar Theatre Palestine has been touring all over the world (Brazil, Jordan, Norway, Palestine, South Africa, Spain, Sweden and the USA so far). 48 Minutes for Palestine is published in Anna Furse’s edited collection Theatre in Pieces: An Anthology of Experimental Theatre from 1968-2010 (Methuen). Mojisola’s other publications include The Theatre for Development Handbook with John Martin and Manisha Mehta, based on their work with VIDYA (order at www.pan-arts.net, all proceeds go to the VIDYA charitable trust). Moj of the Antarctic: An African Odyssey is published in Deirdre Osborne’s edited collection Hidden Gems (Oberon Books, 2010). Academic chapters Mojisola has written include ‘Devising Moj of the Antarctic with the Living and the Dead’ in Sue Broadhurst and Josephine Machon (eds) Sensualities/Textualities and Technologies: Writings of the Body in 21st Century Performance (Palgrave, 2012), ‘Revolutionary Beauty out of Homophobic Hate: A Reflection on I Stand Corrected’ in Gareth White (ed) Applied Theatre: Aesthetics (Bloomsbury Methuen, 2015) and ‘Everything I know about blackness I learnt from queerness’ in Alyson Campbell and Stephen Farrier (eds) Queer Dramaturgies: International Perspectives on Where Performance Leads Queer (Palgrave, 2015).